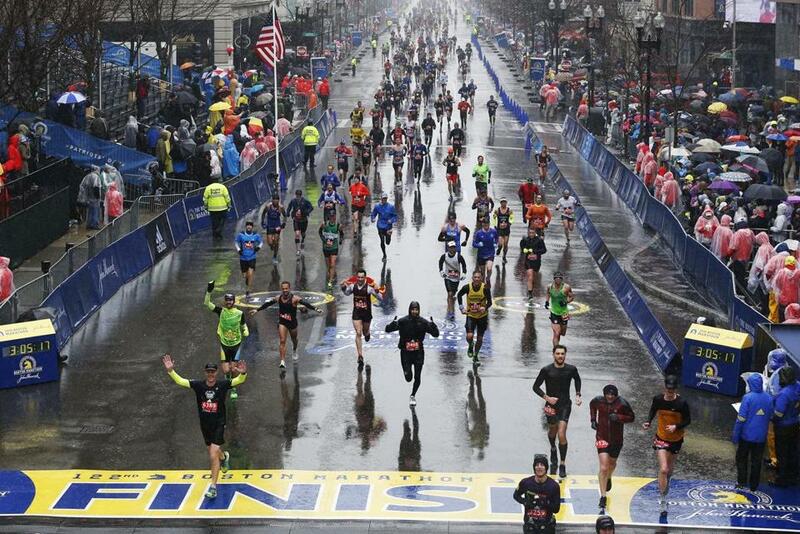 Runners crossed the finish line in the 2018 Boston Marathon. With about 30,000 runners hitting the course today for the 123rd Boston Marathon, trying to track a specific friend or loved one’s progress by sight is a bit like trying to find a needle in a haystack — only if that haystack was moving across 26.2 miles. Thankfully, there’s a solution that doesn’t require you to stake out a spot in a crowd and stare for hours on end at the mass of moving bodies.